Microsoft MapPoint is obsolete. Once the top desktop business mapping software on the market, MapPoint was discontinued in December 2014, and Microsoft put the kibosh on development, support, and updates for the program in July 2015. Former MapPoint users are pretty much forced to select an alternative, as investing in an outdated mapping solution is a waste of time and money, and it opens your business up to unnecessary cybersecurity risks. 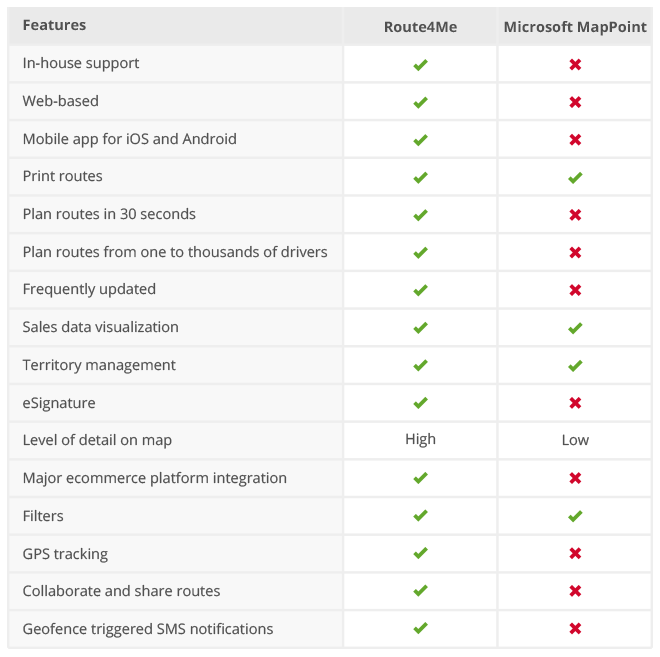 Microsoft ended support for MapPoint in July 2015. For over a year now, there’s been no one available at Microsoft to answer the questions of MapPoint users. If you use MapPoint and you run into a problem, well, good luck with that. You’re on your own. Conversely, Route4Me offers several support channels for whenever users run into an issue. When you send us an email, we’ll respond quickly. We offer round-the-clock phone support, so when you give us a call, we’ll be there to answer. We even have a live chat set up on the homepage of our website – you can reach us there, too. Our onsite expert can travel to your location to show your employees how to use our software. We also have dedicated account experts on staff that can provide you with weekly and quarterly reviews of your account, if you like. 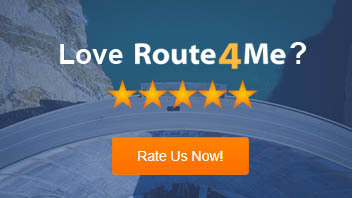 Moreover, Route4Me has a comprehensive knowledge base with videos and weekly question and answer sessions that will help you understand our software better. If you purchased MapPoint before December 2014, you might be using old data. Old data is a huge problem when it comes to vehicle route planning. Over time, road networks change. New roads are built, while other roads are destroyed to make way for new developments. Still, other roads remain in place but are renamed. If you try to plan routes with old data, you’re going to run into a whole mess of issues. Our program is updated constantly to reflect the latest changes to road systems. And these updates are seamless, so you don’t have to worry about going out of your way to download any patches or purchase any upgrades. The world displayed on Route4Me is the world as it is. Your drivers will always know exactly where they need to go. Microsoft MapPoint isn’t in the cloud. It’s stored locally on your desktop. So if something happens to your desktop, you’ll lose your MapPoint licensing and all associated work. Here’s a scary stat for you: according to a report by PricewaterhouseCoopers, 7 out of 10 small businesses that experience a major data loss go out of business within one year. You want to stay in business, right? Our route optimization software is cloud-based. You and your employees can access your maps and routes from anywhere, as long as you have an internet connection. If something happens to your local system – say, you get a nasty virus that erases all your data, or someone breaks into your office and steals all your computers – your mapping data will be fine regardless. It’s up in the cloud, safe and sound. The cloud is the way of the future. According to the premier global market intelligence firm IDC, 27.8% of the global enterprise apps market will be Software as a Service (a form of the cloud)-based by 2018. Also, according to the IT managed services provider NSK Inc., 80% of companies that adopt the cloud report experiencing improvements to their business within the first six months of adoption. 82% of cloud adopters said they saved money by moving to the cloud. Sales data visualization is one of the main reasons why people used Microsoft MapPoint, and this feature is available in Route4Me as well. Our route mapping software comes with an interactive map screen that shows you where you’re performing well and where you’re not. It can also show you how much it would cost to expand to a given area, taking into account all the relevant factors, such as the price of gas and the wages of your workers. With this information, your sales team will know where they should focus their attention. Also, Route4Me has a color coding feature that allows you to identify hot and cold leads from just a quick glance at your map. For example, you could use red for leads that are ready to buy and blue for those you’ve never contacted before. Another reason why businesses used MapPoint was its territory mapping. With this feature, you can visualize your data by overlaying multiple data sets, allowing you to benefit from more detailed insights. Route4Me is better for managing territories than MapPoint. Our software has a sales territory mapping feature with which you can draw a territory, name the territory, choose a color for its display on the map, save regions as groups, and plan routes based on selected addresses. You can even add an unlimited number of territories, draw overlapping territories, and hide or display a specific territory on the map. Using this feature, you’ll be able to separate your sales reps into different regions so that each sales rep’s set of stops is relatively close together. This way, they can visit more clients in the same amount of time. Naturally, visiting more clients leads to more sales opportunities, which means you make more money. 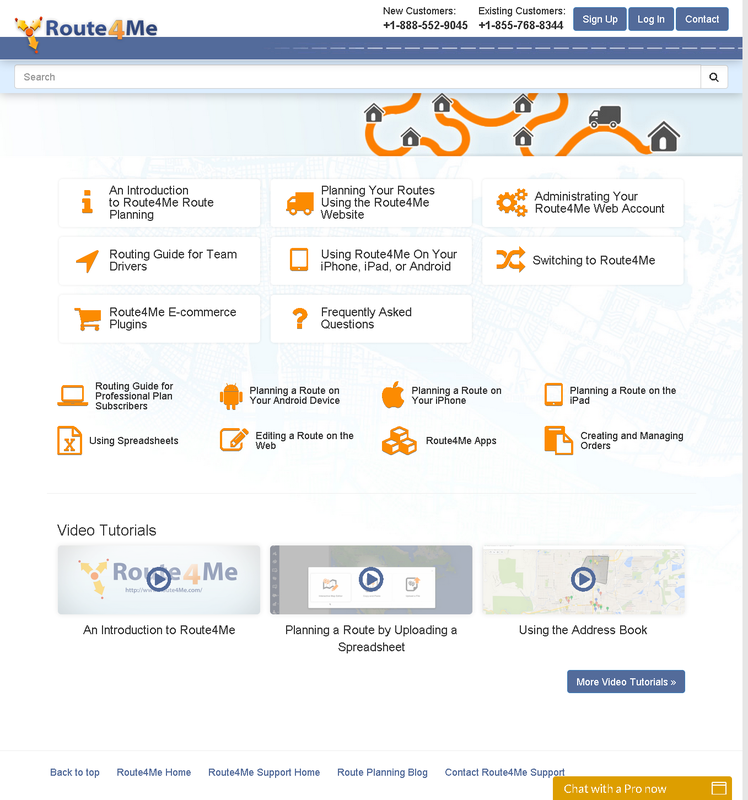 Route4Me makes vehicle route planning easy. First, you upload your customer list. 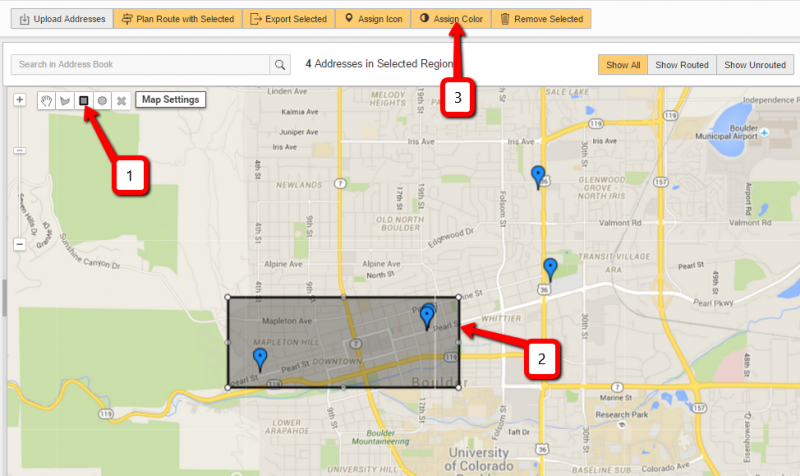 Then, you pick the number of drivers or sales reps you have and hit optimize. That’s it! 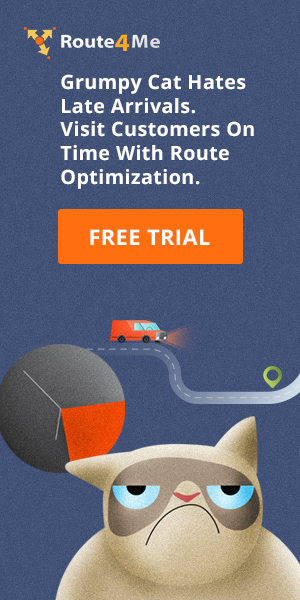 Within 30 seconds, you’ll have an optimized route for every driver and sales rep on your team. Our dynamic routing software will even let you know if you’ve got more drivers than necessary handling your stops, so you might be able to find a way to dramatically reduce your payroll expenses and save a lot of money. We know that suddenly switching over to new software can be a difficult decision. That’s why we offer a free seven-day trial period for MapPoint users. If you like it, keep it. If you don’t, don’t. You don’t even need a credit card to sign up for the trial. Just visit our MapPoint center and we’ll get you set up in no time. You can call us at 1-888-552-9045 for immediate assistance. Do you still think that using obsolete software like MapPoint is wise? Wouldn’t you rather use state-of-the-art, up-to-date software? Let us know what you think in the comments section below.